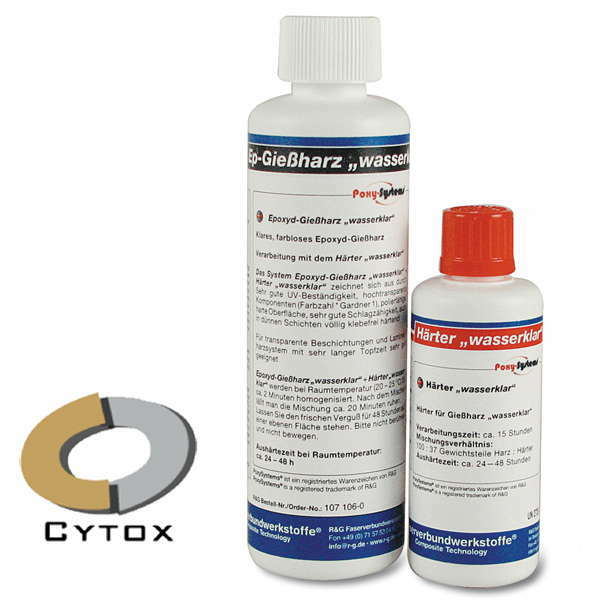 Two-component clear, colourless epoxy system. The system's reactivity was raised for smaller initial and casting quantities. An initial batch size of 400 g can be cast per mould without the surface collapsing. 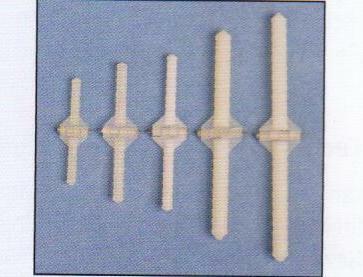 Casting thicknesses up to 40 mm are possible with larger initial quantities. Like all reactive resin systems the casting quantity is limited by the generated reaction heat (exothermal reaction): often a lower curing temperature (e.g. at an ambient night temperature lower than 20 °C) can counteract too great an exothermal reaction. 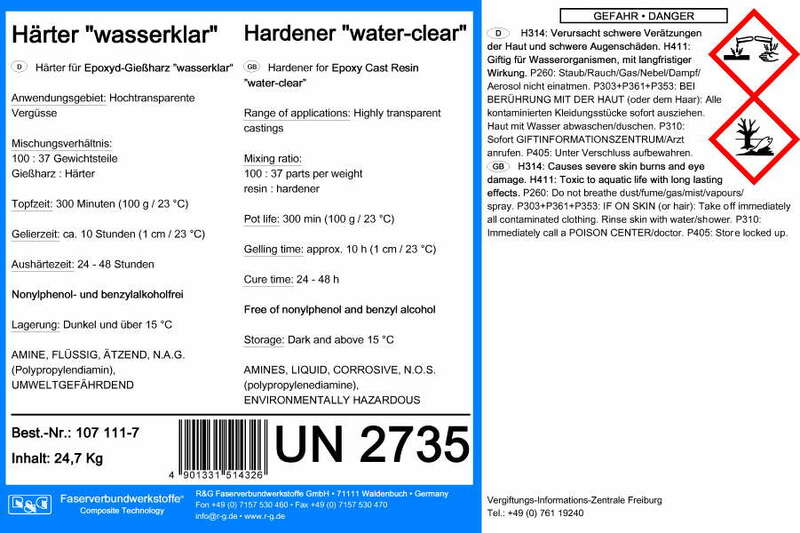 Resin and hardener are homogenised for about two minutes at room temperature (23 °C). Afterwards the mixture is left to rest for approx. 20 minutes. Leave the ready mixture on a flat surface for 48 hours. Please do not mix or otherwise move the product. The total curing time ranges from 24 to 48 hours. 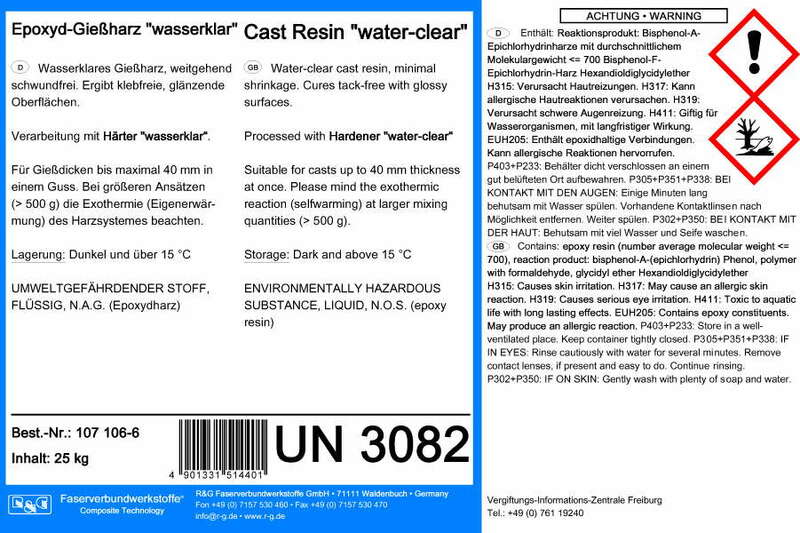 Expertise for the resin system casting resin + hardener "water-clear": this system is not cytotoxic (cell damaging), important for applications in medical purposes! *) This system has very good UV resistance for EP resins, but, like all epoxy resins, it can turn more or less yellow over time under high UV exposure. 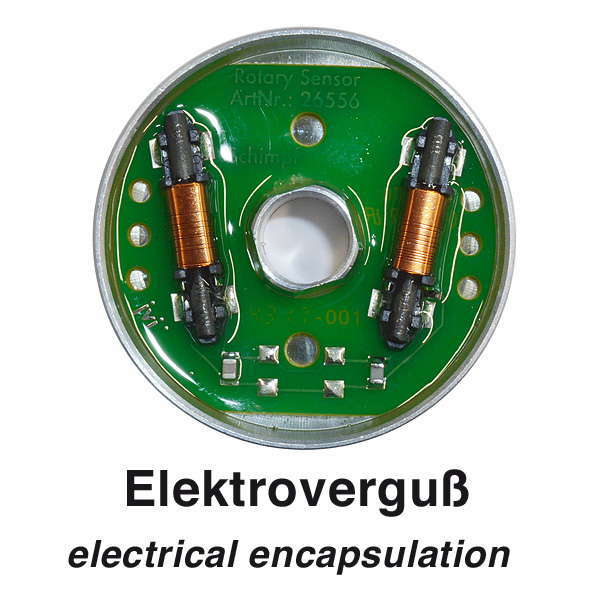 Therefore only conditionally suitable for outdoor applications or permanent exposure to artificial light sources. Typical areas of application: Indoor: railway models, works of art, stage decorations, etc. (only occasionally exposed to UV sources).